In 2015 and early 2016, Wageningen Bioveterinary Research tested Dutch hens for the presence of chlamydia. Chlamydia gallinacea DNA was found in laying hens on 71 of the 151 farms that were tested. However, there is no evidence that the bacteria C. gallinacea can be transmitted to humans. Poultry carry various types of the bacteria Chlamydia, of which Chlamydia psittaci and Chlamydia gallinacea are the most important. The Dutch situation had not been studied before these tests. 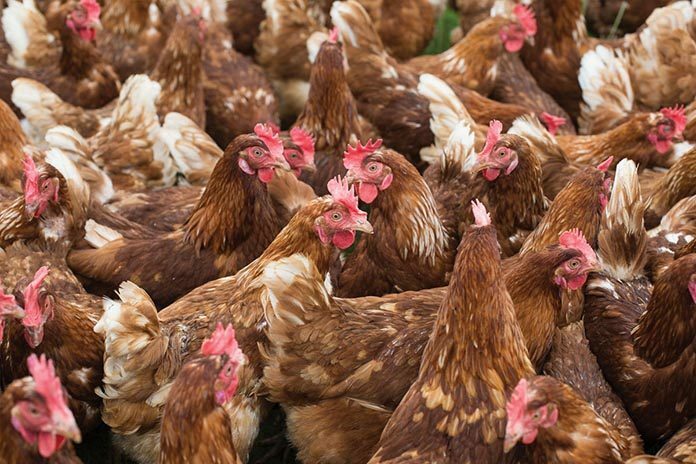 Wageningen Bioveterinary Research conducted their study to establish if the key Chlamydia species, C. psittaci and C. gallinacea, occur in Dutch laying hens and if there is a relationship between chlamydia disease in poultry and in humans. Chicken manure samples were analysed from a total of 151 poultry farms using a test that identifies DNA (PCR). No C. psittaci DNA was identified, but C. gallinacea DNA was found on 71 farms. No link could be established between the presence of this DNA in poultry and disease. causes psittacosis, or parrot disease. It is a zoonosis, a disease that can be transmitted from animals to humans, which is why this disease must be officially reported in the Netherlands if it is discovered in pet birds such as parrots and pigeons. Cases in poultry do not have to be reported, because chickens appear to be less susceptible to the disease. The C. gallinacea variant of the Chlamydia bacterium was discovered only relatively recently. This species is mainly found in chickens and as of yet, little is known about the pathogenic properties of this type of chlamydia.